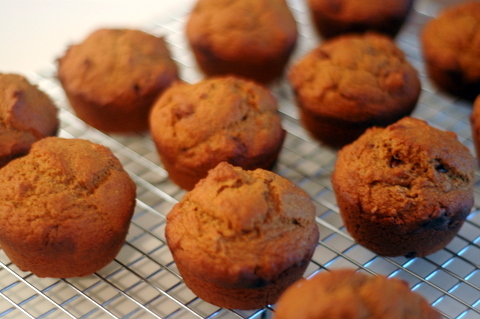 These muffins stay moist and fresh for at least a week, and will taste delicious even when frozen and defrosted. Enjoy! Preheat oven to 350°. Paper-line or grease 30 muffin cups. Combine flour, pumpkin pie spice, baking soda and salt in large bowl. Combine sugar, pumpkin, eggs, oil and juice in large mixer bowl; beat until just blended. Add flour mixture to pumpkin mixture; stir just until moistened. Spoon batter into prepared muffin cups, filling 3/4 full. Fresh, fruity smoothies are the perfect pick-me-ups: they’re quick and easy, and they let you treat yourself without a ton of calories or added sugar. 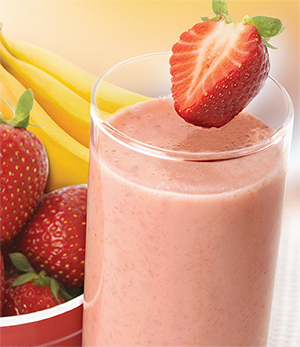 I especially love this recipe because strawberries provide antioxidants, and bananas give potassium. But use any fruit you desire. Enjoy! Place all ingredients in a blender and blend on medium speed until the mixture is smooth and frothy. This simple fruit pick-me-up works any time of the year, but its flavor will be the best and brightest in the winter when oranges are at their peak. Enjoy! 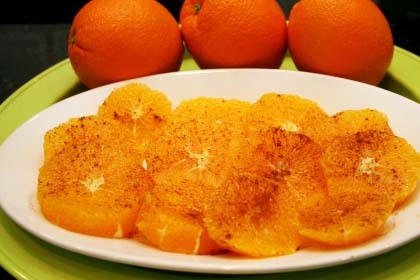 With a sharp knife, remove rind and white pith from oranges. Cut each into 5 or 6 slices and arrange on 4 plates. Whisk together orange juice and lemon juice, honey and cinnamon. Spoon over the orange slices. 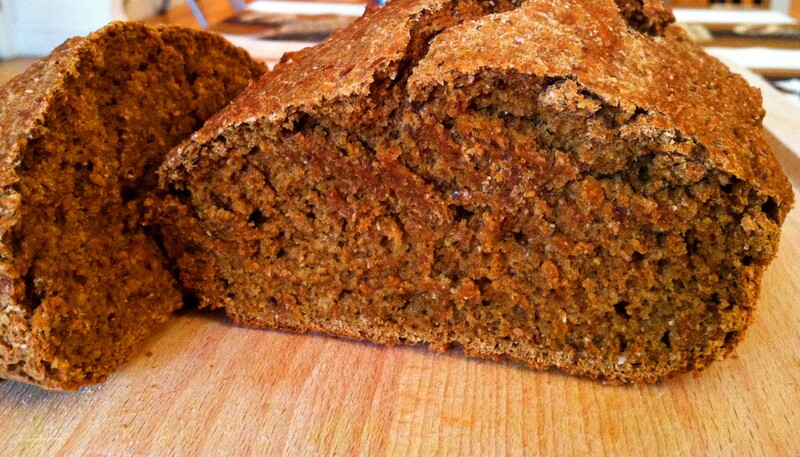 This is our family’s favorite quick/sweet bread recipe! So healthy, so yummy. Enjoy. Preheat oven to 325°. Combine dry ingredients together. Whip eggs until foamy. Add honey and oil and continue to beat. Add pumpkin, syrup, and apple. Beat well. Add flour mixture and mix until blended. Grease 2 bread pans and spoon batter into each. Bake for 45 minutes to 60 minutes or until toothpick inserted in center comes out clean. Remove to cooling rack immediately. 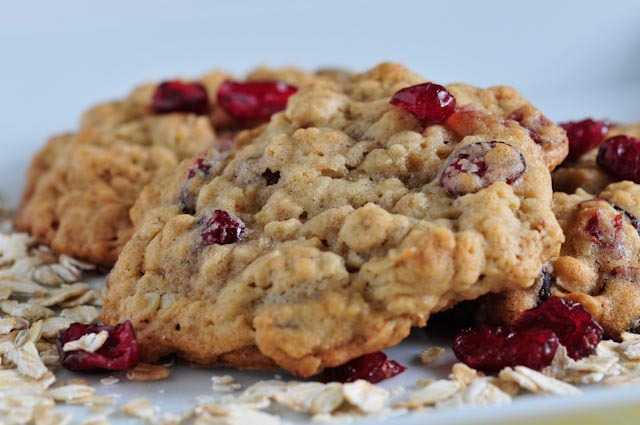 A fun twist on the classic oatmeal-raisin cookies! Perfect for a light-night study session or a slow afternoon in the library when you need quick energy. Preheat oven to 350°. Use butter/cooking oil spray to grease a cookie sheet. In a sauce pot, combine the water and cranberries. Cook over medium to high heat until the water begins to boil. Turn off the heat and allow the cranberries to cool. Stir the vanilla extract into the cranberry mixture. In a large bowl, mix the oil, honey, and eggs. Beat well with an electric mixer or whisk. Add the cranberry mixture. In another large bowl, mix together all dry ingredients. Add dry ingredients into the cranberry mixture and stir slowly until all ingredients are fully combined and the dough is soft and sticky. Use a spoon to form dough balls about the size of a ping pong ball. Drop each dough ball onto the cookie sheet so all the balls are evenly spread out. Bake for 10 to 12 minutes, until the cookies are golden brown. Let cool for a few minutes before serving. 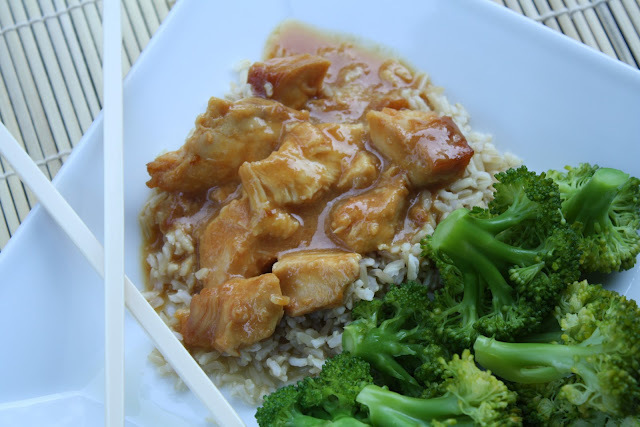 A quick, easy and thoroughly yummy recipe with minimal ingredients. Throw everything in the slow cooker then walk away to do homework for 3 to 4 hours …and bam. Dinner is served. Enjoy! Place cut chicken pieces into the crock pot. In a small bowl, mix salt, orange juice concentrate, brown sugar, vinegar, and ketchup. Pour sauce over chicken, mixing gently to coat chicken with sauce. Cook on high for 3-4 hours. Goes perfect alongside a bed of brown rice and steamed broccoli, if desired. 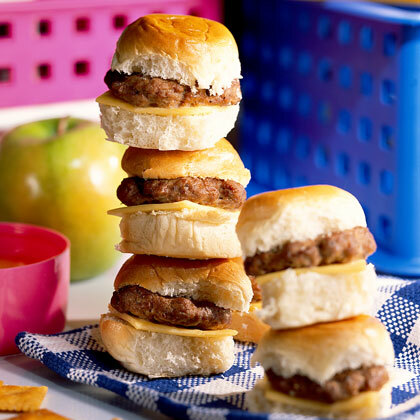 Invite some college friends over, because these mini burgers are delicious and a guaranteed crowd-pleaser. Enjoy! Preheat oven to 350°. Combine first 4 ingredients. Shape mixture by tablespoonfuls into patties, and place on a rack in a broiler pan. Bake at 350° for 15 to 17 minutes or until done. Split rolls horizontally, and place a piece of cheese and a meat patty in each. Serve with desired condiments.